Early 1900s. 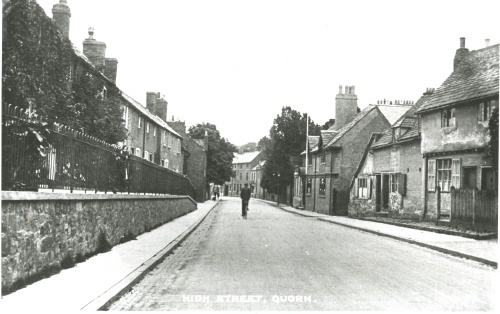 View into the centre of the village showing the Banks Cottages on the left which were demolished in the early 1970s. The first building on the right has been demolished. The one just down from it (with the flag pole) is now The White Hart.